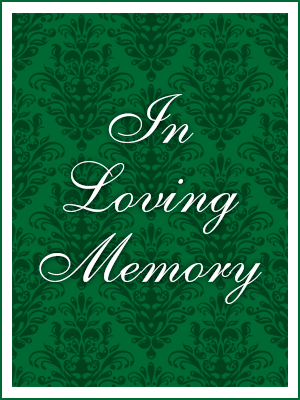 Buckley, Helen R. Buckley, 82 of Brick, NJ. formally from Staten Island, died on Tuesday, Dec. 14, 2016 after a brief illness at the Ocean Medical Center in Brick, NJ. She was born in Staten Island and spent most of life in West Brighton until moving to Brick in 1993. She worked for 38 years as a Administrator for the Bank of NY in Manhattan ( formally Irving Trust) While living in Staten Island Helen was a member of Sacred Heart RC Church and was a member and officer for the Columbiettes ( Richmond). Helen was an avid Yankee fan and enjoyed bowling at the old Victory Lanes for over 20 years with the Columbiettes and loved doing crafts. She is predeceased by her parents , the late Thomas and Margaret(Molloy) Buckley and her sister Mary Kelley and Thomas J. Buckley. Helen is survived by her nieces and nephew, Barbara Fumando, Theresa Villani, Thomas J. Jr and Steven J. Buckley also great niece and nephew, Jenine, Vincent and Brian . A Funeral Mass will be held at the Sacred Heart RC Church on Saturday at 10 AM . A private cremation will follow.